WHAT CAN I DO? Climbing Mount Kilimanjaro, visit Chala Crater Lake. Kilimanjaro mountain climbing is a year-around activity but December to February offer the driest and warmest conditions, with above average visibility. July and September are also relatively dry but not as warm. Kilimanjaro National Park covering an area of some 75.3 km², protects the largest free standing volcanic mass in the world and the highest mountain in Africa, rising 4877m above surrounding plains to 5895m at its peak. One of the seven natural wonders of African in Tanzania apart from Serengeti national park and Ngorongoro crater, stands in fabulous isolation above the surrounding plains, with its snowy peak looming over the savannah. This volcanic massif mountain is encircled by mountain forest. With Six usual trekking routes to the summit, Mount Kilimanjaro is one of the largest volcanoes in the world. It has three main volcanic peaks, Kibo, Mawenzi, and Shira. With its snow-capped peak and glaciers, it is the highest mountain in Africa with five main vegetation zones from the lowest to the highest point: Lower slopes, montane forest, heath and moorland, alpine desert and summit. The whole mountain including the montane forest belt is very rich in species, in particular mammals, many of them endangered species. 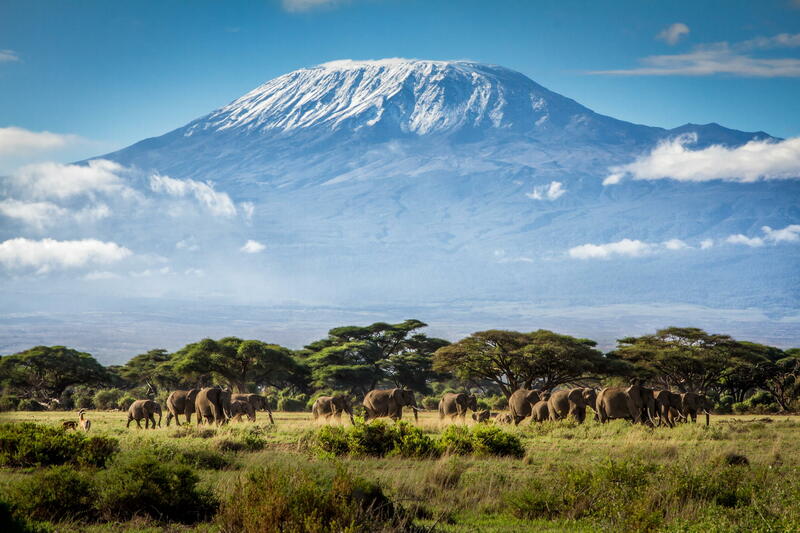 For this combination of features but mostly its height, its physical form and snow cap and its isolation above the surrounding plains, Mount Kilimanjaro is considered an outstanding example of a superlative natural phenomenon. The most obvious activity is an attempted hike to the summit, which takes for example five days through Marangu Route. Other famous routes are Machame Route and Lemosho Route.